You have many decisions to make about your new project, one of the most important being hiring a contractor to do your job right, on time and on budget. Here are tips for hiring a contractor. 1. Ask your neighbors, friends, family for recommendations and interview several contractors for your job to find the right fit. 2. Understand what you want done; list your objectives and goals. If possible create drawings or specifics to determine the scope of the project. This can help guide you to the right type of contractor. Not all contractors are created equally; some are better suited for specific projects so don't be afraid to ask what they specialize in. 3. Schedule "on site" visits for free job estimates. 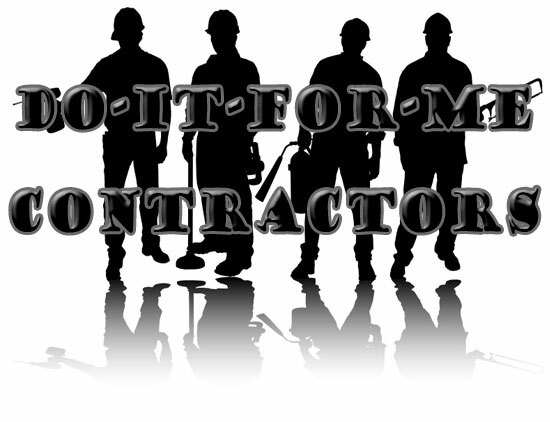 Almost all contractors will come to your location and give you a free estimate for your project. 4. Ask for and require documentation of licensing, insurance and industry qualifications. 5. Ask for references it's a great way to check the quality of the contractor's work. You may even wish to speak with that owner about the contractor. If the contractor refuses to provide you with jobs you can go visit that may be a red flag. 6. Once you have screened your contractors, choose the best fit for your project and your personality. The lowest bid isn't always to best. Many times you get what you pay for, so if one contractor is far lower than the others, ask more questions and qualify the bid because they may have misunderstood or left something out of your project. If possible compare the quality of service, levels of expertise and pricing. 7. Ask for a detailed estimate with start and ending dates and if any subcontractors they may retain for your project. 8. Most contractors will offer some sort of project warranty for a period of time, depending on the type of project. Be sure you understand the warranty and it is clearly identified in the contract. 9. Get it in writing! Request a detailed contract and ask for any clarifications on any aspect of the project you don't understand. Both parties should agree, sign and date the contract. This should detail every aspect of the project: payment schedule, a start/completion date; specific materials and products to be used. 10. Ask for lien waivers. Lien waivers protect you from being held responsible for payment to the contractor's suppliers and subcontractors once you have paid your contractor in full. 11. For larger projects it is typical for a contractor to ask for some kind of deposit to put your project on the schedule. Many contractors will ask for 30/30/30; 30% down, 30% once they deliver product/equipment to the project and the final 30% upon completion. However, at the time of contracting the project you can request to change the deposit to whatever you're most comfortable with. Finally, remember that as soon as a change is made or a problem uncovered, the price just increased and the project just got longer. The four most expensive words in your construction project are, "While you're at it...."